5am. The sun is slowly rising from the horizon. Birds sing free and undisturbed by traffic noise. Everything is calm and quiet, almost nobody is on its feet at this time of day. Except for the asparagus pickers. After uncovering the ridges, they start searching for asparagus tips which barely reach the surface. It’s a hard, yet filigree work. 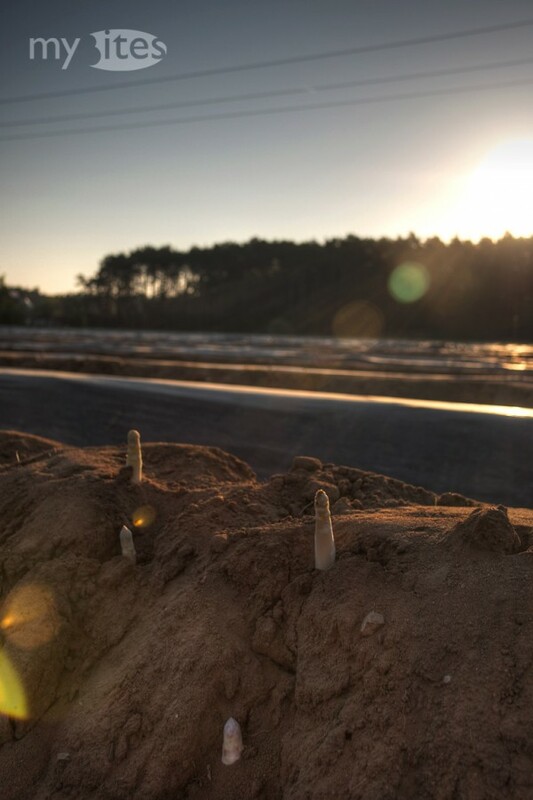 I wanted to learn how asparagus is actually grown and harvested, so I visited my asparagus farmer – the Reinhardt family – on an early morning to join them in the picking process and to learn more about the king of spring vegetables firsthand. This entry was posted in Reviews and tagged asparagus, cultivation, harvesting, on-site, review, spring, white asparagus on May 10, 2012 by Robert.